Editor's Note: This post first appeared as 2015's Monday-after-Christmas entry and continues to hold best-read status of all posts in the last 14 months. The original version has been slightly revised to reappear here the day after Christmas 2016. What are the best gifts you’ve ever received…at Christmas or any other time of the year? Depending on our personality types, of course, we’ll have different takes on what qualifies as a good gift, but year-end seems an appropriate time to take stock of the things for which we are grateful these last 12 months. Maybe even a good opportunity to back up even farther than the last year to take a longer view! No matter what your age, comb through your memory to find the stuff of life that has made you happy over the years. What experiences, incidents, encounters, happenstances do you recall with the greatest clarity or measure of gratitude? Two Mother’s Days ago the family surprised me with a landscape design plan, which was installed during the fall of 2015; it has afforded me much pleasure already as I have watched it come to be last fall, winter over, and return to life again last spring before it produced spring and summer flowers followed by beautiful fall color. Jim’s long-term employer gave us the opportunity to travel together as a family every other summer when our children were small as he took students on trips to Europe. That gift gave then, and it continues to give now as we still love travel and exposure to cultures other than our own. Twice in my life I have met quite unexpectedly people who have become important to me in life-changing ways. When our daughter went to Belfast for nine months with Mennonite Mission Network between high school and college back in 2000, she began second-guessing her decision, so that I found it difficult to leave her after spending 10 days helping her get settled. By happenstance (or more likely Providence), I met a couple from Belfast in the Dublin airport as they were headed for Boston and I was returning to the USA. They invited me to airport tea and inquired about what brought me to Northern Ireland. Upon learning that Meg would be staying in Belfast until June, they committed to making a connection with her on their return from Boston. I believed that they would, though my family teased me about the airport pickup and wondered why I expected them to keep their promise. Nearly three months passed before we learned that they had, indeed, made a connection. No amount of looking for the organization she was with had produced results for quite some time, but one night on an unseasonably warm walk to dinner that December, they passed an open outer office door which listed the names of organizations lodged there, including the one where Meg was a volunteer. They inquired of a doorman whether or not an American girl worked there and made contact soon after. Their care for her was the best gift that holiday season, and one that I have been grateful for over and over these past 16 years. In the fall of 2009 the gift of another important connection came to me, again with no orchestration on my part. As a 16-year-old, I lost a boyfriend in a truck accident and 12 years later my 18-year-old brother died in a car crash. I did not do sufficient grief work around either of those painful deaths, but, miraculously, incentive to unearth that old pain arrived with a most unexpected crossing of paths with my boyfriend's younger brother, whom I did not recall. I am grateful for all these good gifts. I trust these vignettes will remind you of similar good gifts that have come to you. Share your stories with your friends and journal about those stories so that they don't slip from your mind. Invite your friends to do the same. 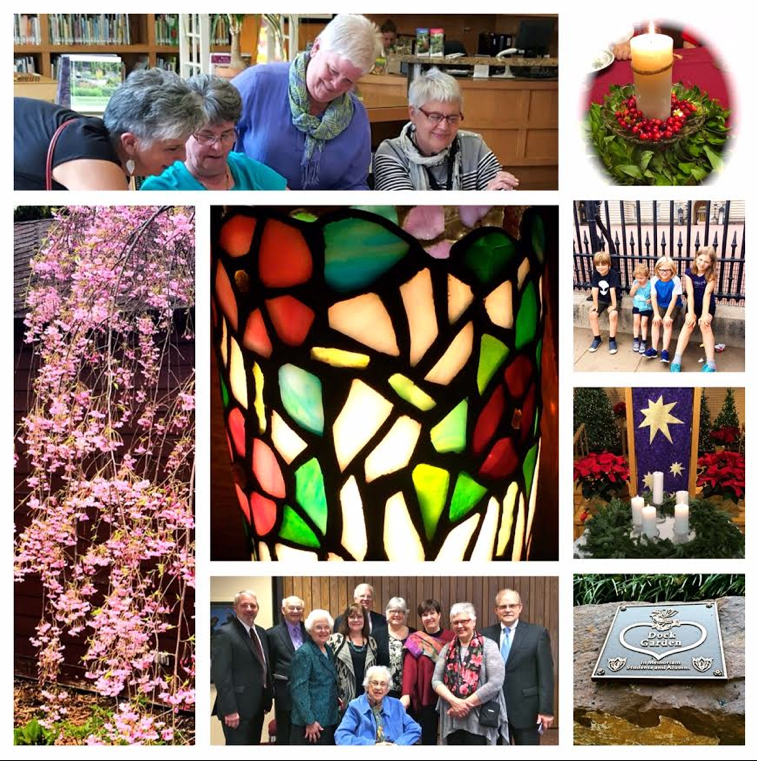 Home News Glimpses of Healing and Hope Best Gifts Ever…Christmas or Otherwise!